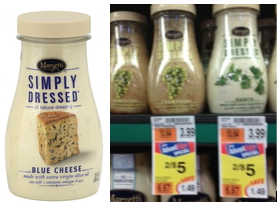 Use the $1/1 Marzetti Coupon to get a great deal at Price Chopper! They have Marzetti Simply Dressed Salad Dressing on sale for just $2.50. If you have Price Chopper’s coupon doublers from the newspaper, this coupon can be doubled to make your final price only $0.50 each! Great price! Be sure to check out the rest of the Price Chopper Deals for this week! Merona Men’s Pants only $8.00 each at Target!